JVN is the foremost volunteer-involving faith organisation in the UK. A portal to the charity sector, We have helped thousands people find a suitable volunteering role. Our state-of-the-art website and mobile app connect individuals to any one of over 300 Jewish and non-Jewish organisations to find opportunities that match with their interests, skills and availability. For a more personal touch, you could attend an appointment at our one-to-one bespoke matching service to receive expert advice from one of our experienced team on the opportunity that’s right for you. We promote anything from long-term regular volunteering opportunities to one-off activities and events, ensuring that there is something for everyone, regardless of what they can commit to. All of our services and advice is absolutely free to anyone interested in volunteering. JVN’s projects are based on the belief that everyone, regardless of their age or ability, can give something of value back to society by volunteering a little of their time. We have recently been recognised for our work through receiving The Queen’s Award for Voluntary Service, the highest accolade available for UK voluntary sector groups. To find your perfect volunteering opportunity, visit www.jvn.org.uk and click Get Started. 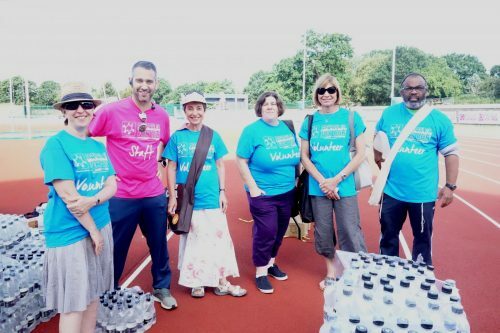 If you would like to find out more about us or arrange one-to-one meeting to discuss your volunteering options, email getinvolved@jvn.org.uk or call us on 020 8203 6427 ext.3.